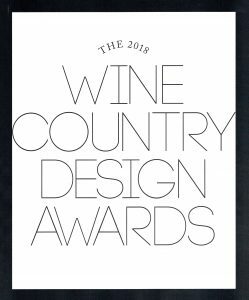 The Roche+Roche Landscape Architecture collaborators at Erin Martin Design won California Home + Design’s 2018 Wine Country Design Award for residential interior design. 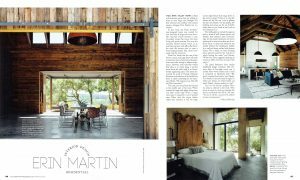 The contemporary agrarian compound perched above Napa Valley was a collaboration between Erin Martin, Field Architecture and Roche+Roche, with Grassi & Associates and Dexter Estate Landscapes undertaking the construction. Other winners included our colleagues Nicole Hollis, and Taylor Lombardo Architects for residential interior design and spec home design respectively. 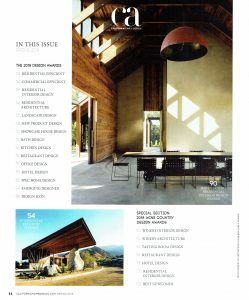 Each award-winning project featured a two-page spread in the Spring 2018 issue but Sentinel Ridge graces the cover and table of contents page. Congratulations to all the winners.